i have an UI5 application, master-detail-type. I start it with startupParameters from a Launchpad out of Cloud Platform Portal. It works. Now I want to build a different page in which different content is shown. I need some advice how I can navigate directly to this view without going the way over the master-detail layout and then load the other view. With this it shows the master-detail layout very short and then switches to my View of "announcements". How can i manage to get directly from a tile in Launchpad to my view? The direct link to the application should be possible using the Hash based url. That URL can be configured as iView in the portal. yes is see what you did there. But I dont use the launchpad designer on a Front End Server, but the one that is delivered by the portal service within SAP Cloud Platform. 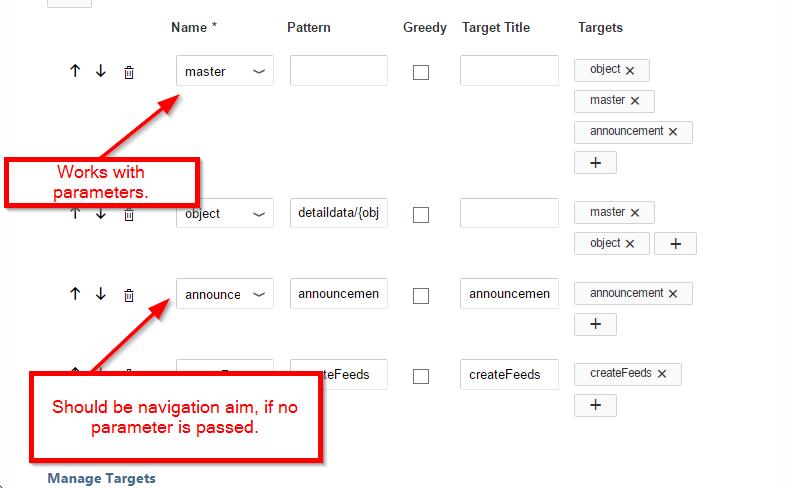 So I dont have the option of a target URL, but only the option of choosing a semantic object/action. Nevertheless I used a workaround and settled this part in a seperate application.